In the biased BBC report, they keep referring us as a secessionist group, this is not right. We are fighting for self-determination and not secession. 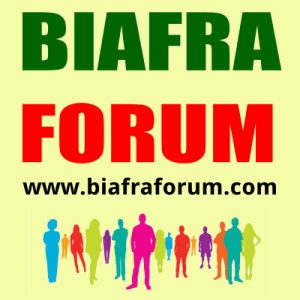 Biafra existed before Nigeria, how could we possibly secede from Nigeria. Another blunder in the report is that Biafra is in the eastern region of Nigeria deliberately cutting off the so called South South and parts of the middle-belt which are unmistakably part of the Sovereign state of Biafra. 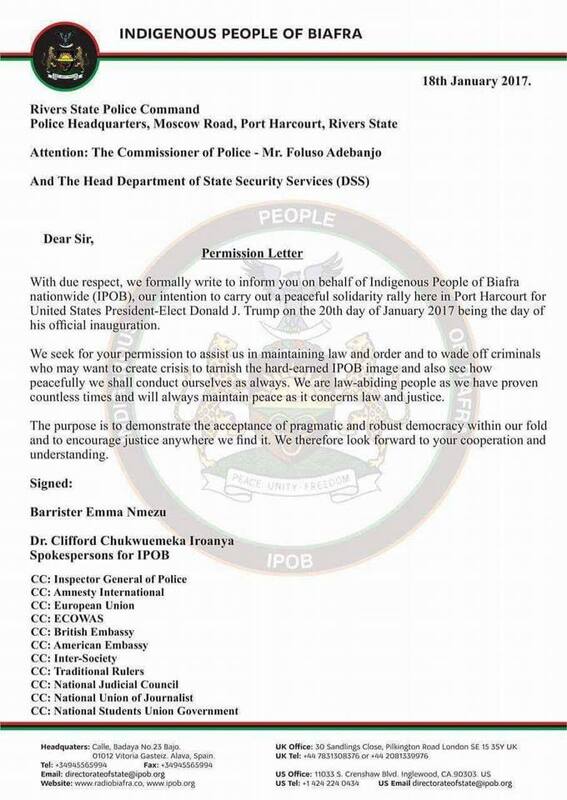 We are putting the world on notice of the upcoming rally scheduled for Friday, 20th January coinciding with the inauguration of the United States President; Donald Trump, should the Nigerian security forces mar the rally, Buhari and Wike and the Army, DSS should be held responsible for the results. A secessionist group in Nigeria, which supports US President-elect Donald Trump, has said it will hold a rally on Friday to mark his inauguration, the AFP news agency reports. 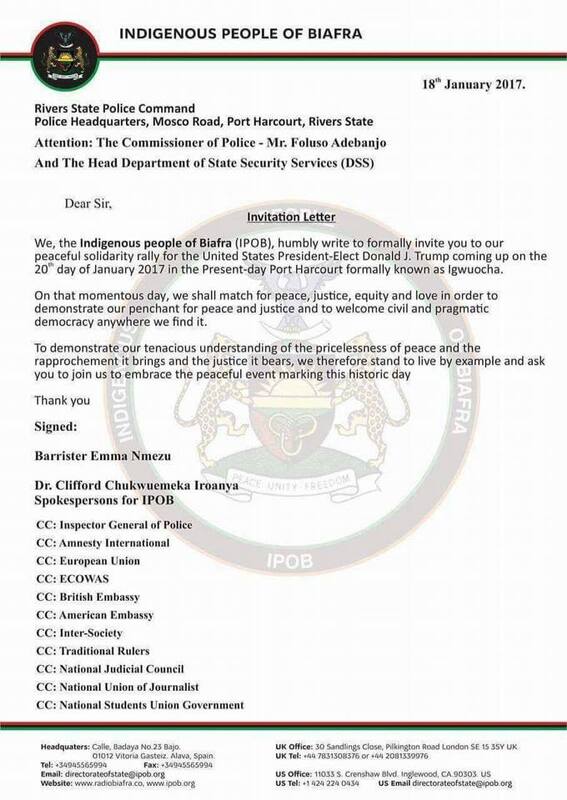 The Indigenous People of Biafra (IPOB), which wants the independence of Biafra in the eastern region of Nigeria, said in a statement that it was inviting people to a pro-Trump rally in the southern oil hub of Port Harcourt. The group says it welcomes “civil and pragmatic democracy anywhere we find it”. 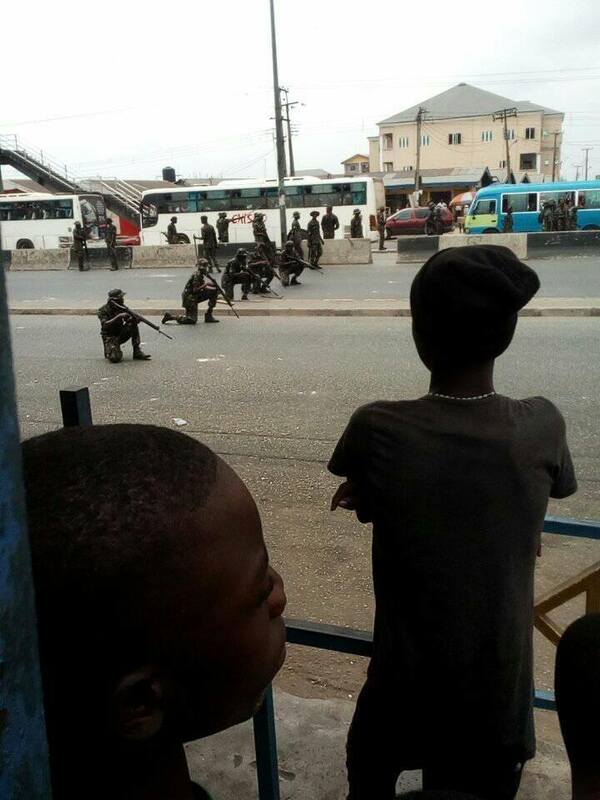 The Biafra region unsuccessfully fought for independence in a brutal three-year civil war that ended in 1970. 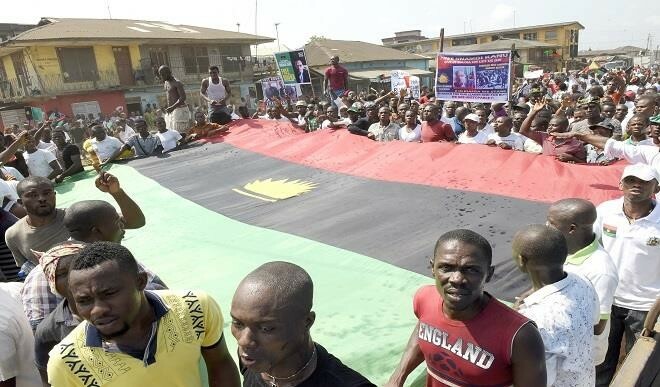 IPOB has renamed its push for secession “Biafrexit”, after the UK’s Brexit vote to leave the European Union, AFP reports. Prince Emmanuel Kanu, the brother of IPOB leader Nnamdi Kanu, who has been held by the Nigerian government since October 2015 on treason charges, said Mr Trump had won their favour as he “supports the right to self-determination”. 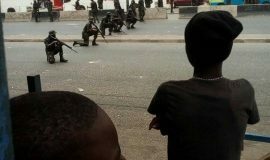 Separatist sentiments have grown in the months since Mr Kanu’s arrest and sparked clashes with security forces that have since been condemned by human rights groups, the report says.